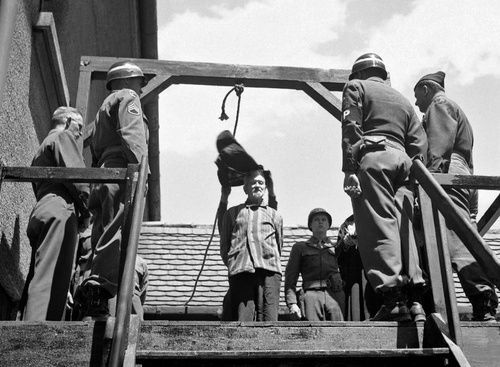 Once upon a time, doctors were hanged for unethical human experimentation. Of 16 found guilty of war crimes, 7 were executed by hanging. Nuremberg, then Helsinki, countless other, and most recently the 2010 Singapore Statement on research ethics have convinced us that society has matured. But humanity hasn’t evolved, and the same Hippocratic oath persists. The forthcoming ‘Handbook of Academic Integrity’ has a chapter by Prof Vaux, whose accusation of misconduct against Uni of NSW researcher Levon Khachigian led to his standdown in 2013. That team had received $8.3m in a 2014 cardiovascular grant from NHMRC. The UNSW has just last month cleared Prof Khachigian of all charges, since: ….” breaches were the result of Professor Khachigian’s genuine error or honest oversight, not deliberate or intentional conduct.” The sacked whistleblower who brought the scandal to public attention, Dr Ying Morgan, wasn’t interviewed or requested to make a submission to the confidential inquiry. This was a case of fabricated data, whilst my previous post blogged how un-tampered data can be described howsoever as the study author chooses in order to suit their intent. Then there’s statistical adjustments. David Vaux quotes Stanford biostatistician Prof Ioannidis, who finds procedural errors interpreting data in the majority of trial reports i.e. most studies are falsely presented. The figure given is 90%, which would mean that only 1 in 10 regulatory approved meds are truly beneficial. Deliberate obfuscation of harm also occurs, and Peter Gotzsche or David Healy are worth reading. The tutorial given at Monash in the Advanced Statistical Methods for Clinical Research subject MPH5270, on how to coverup dozens of deaths in a trial gone awry has already been discussed here . This post moves on from the blatant misconduct, to the insidious – market analysts determining what treatment you can receive. Naltrexone blocks opioid receptors, and is approved to treat substance abuse. In 1985 Dr Bihari found that a one-tenth strength dose improved survival in HIV and postulated that the body’s endorphins were being boosted. Prof Mark Hutchinson and a team determined in 2009 that a similar molecule, naloxone alleviated chronic neuropathic pain by suppressing neural immune response to a perceived allergen attack, which has relevance in MS, fibromyalgia, Traumatic Brain Injury, and other inflammatory cytokine conditions. This led to Prof Jarred Younger of Stanford Uni trialing Lowdose Naltrexone (LdN) successfully in fibro, using a gold-standard randomised crossover protocol. The FDA didn’t accept the evidence as warranting their approval, and independent researcher budgets were never going to be able to satisfy their demands. A state of play report is available from this open-access rheumatology journal, and rheumatologist Emma Guymer visited their lab. But then reportedly told an LdN advocate that she couldn’t prescribe “for contractual reasons”. Buyers clubs solve this roadblock. There is a growing, loyal online community procuring LdN by either doctors scrip and a compounding pharmacy, or import from Canadian or Israeli sources. This established market seemingly deserves support by US insurance company rebate or else Australian PBS subsidy, so pfarma was approached to start the approval process. Bristol Myers Squibb held the original patent for Revia/naltrexone, and after deliberating on the request for five months their Medical Director Marian Gandy determined there to be no opportunity: “I have explored the options with our global teams who determine the development programs for our products and regret to inform you that there are no plans to seek any further indications for ReVia“. Bad drugs are pushed, good drugs are withheld. The system is so broken that suggested reforms, such as voluntary conflict-of-interest declarations, can only ever be window-dressing. That’s right – disclosing commercial allegiance is opt-in, since Australia has no equivalent to the US Sunshine Act. Nor an Office of Research Integrity where Dr Morgan could present her allegations. Because as PM Abbott said, “We’re open for business”.